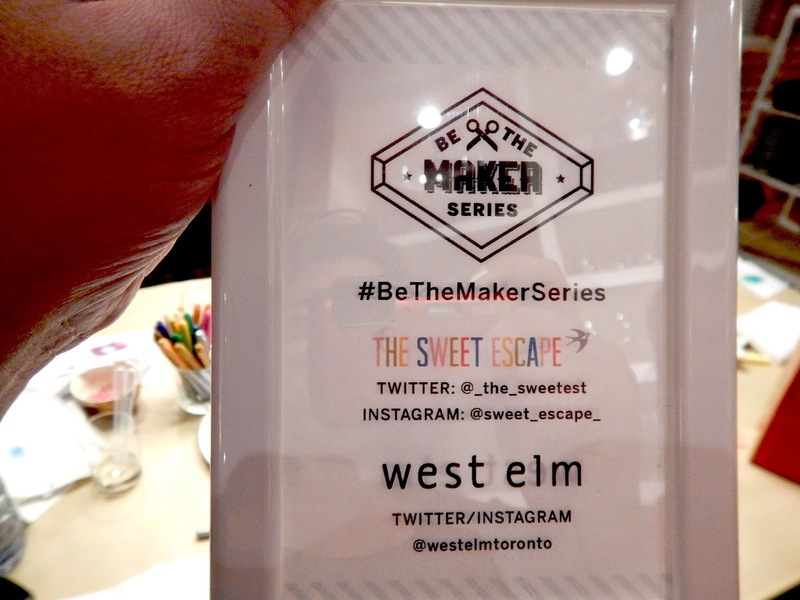 Last week, I was excited to attend the first event in a "Be the Maker" workshop series hosted by Melissa of The Sweet Escape at West Elm. It's rare these days for me to get out for a night that doesn't involve work so it was fun to get to be crafty, sip some grapefruit juice and chat about topics other than real estate, babies and renovations for a change. 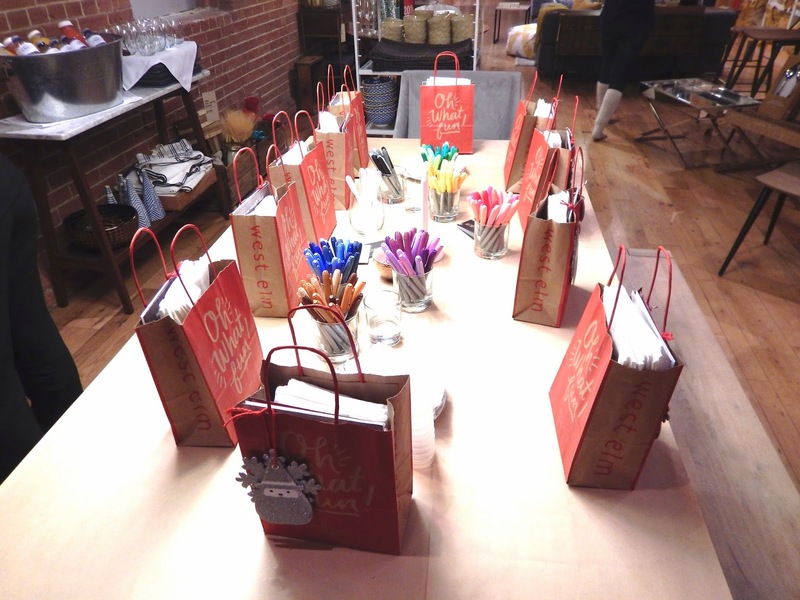 The event was photographed by Andrea of Personally Andrea so be sure to check out her blog for more pics! 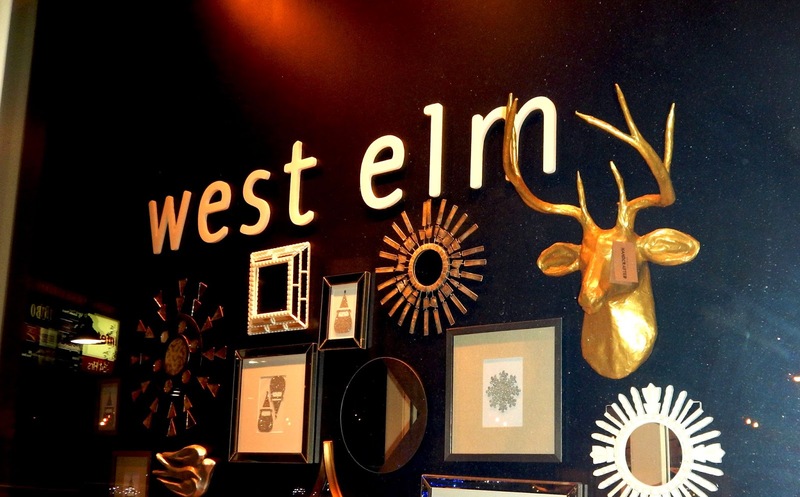 West Elm in Liberty Village was already decorated for the holidays. It felt festive and it made me excited for the holidays! 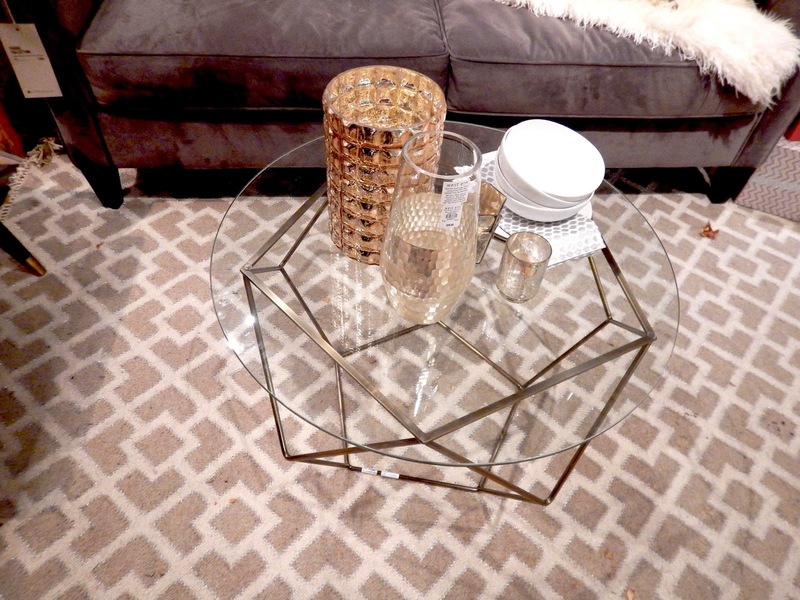 And, I've been obsessed with their origami coffee table for years! I even remember mentioning it in a post that I published the day we moved into our new/old house. Oh, how I love it! 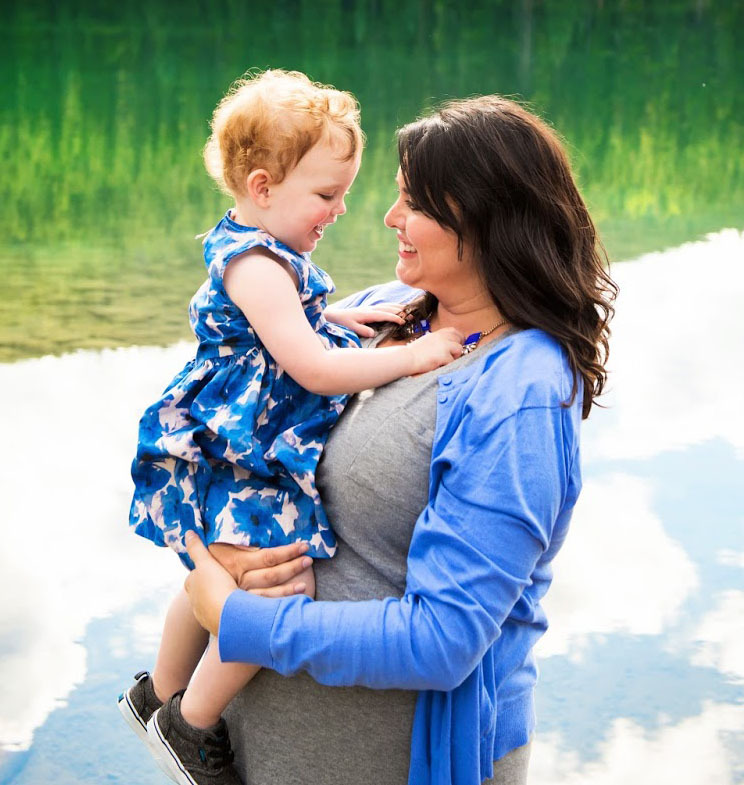 As I mentioned, Melissa of The Sweet Escape ran the tutorial and she is super creative. 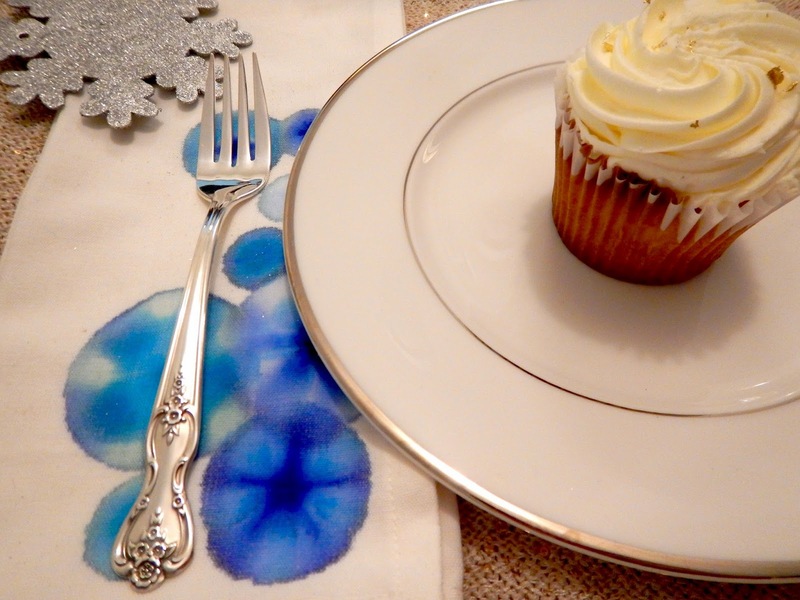 She wisely had scraps of cotton so that we could practice before moving on to our nice napkins. There was a rainbow of colours to choose from but I opted to stay within one colour family. Unsurprisingly, I chose blues and turquoise hues, since they're always my favourites. 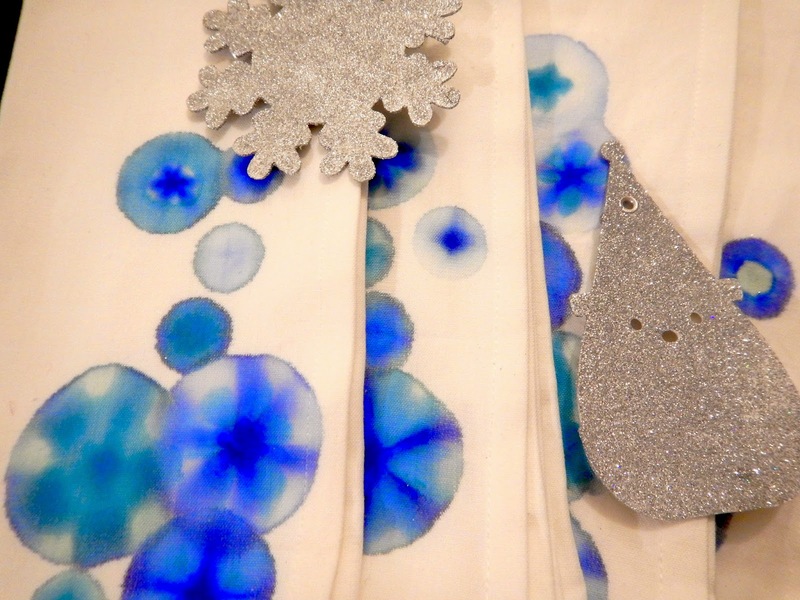 We began by drawing starburst or (in my case) snowflake patterns on the fabric. 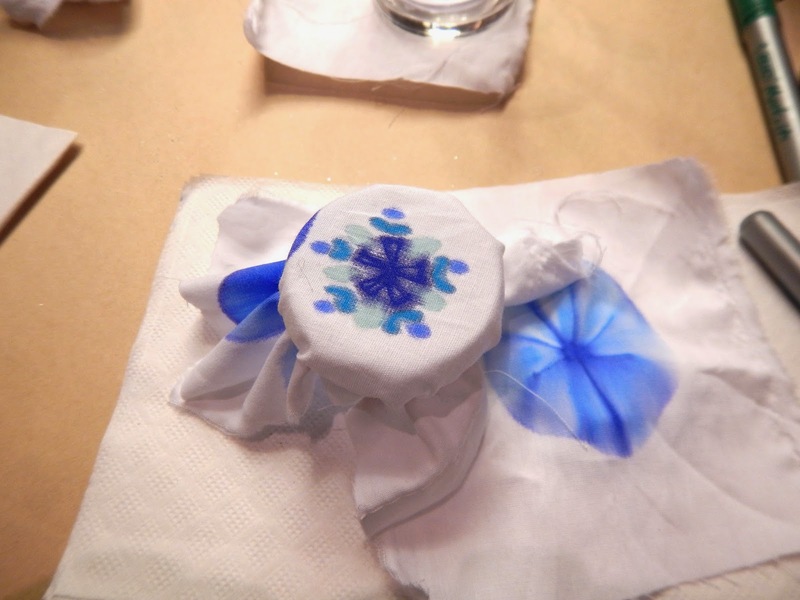 We then used eyedroppers to drip isopropyl alcohol on the fabric to allow the dye to spread. 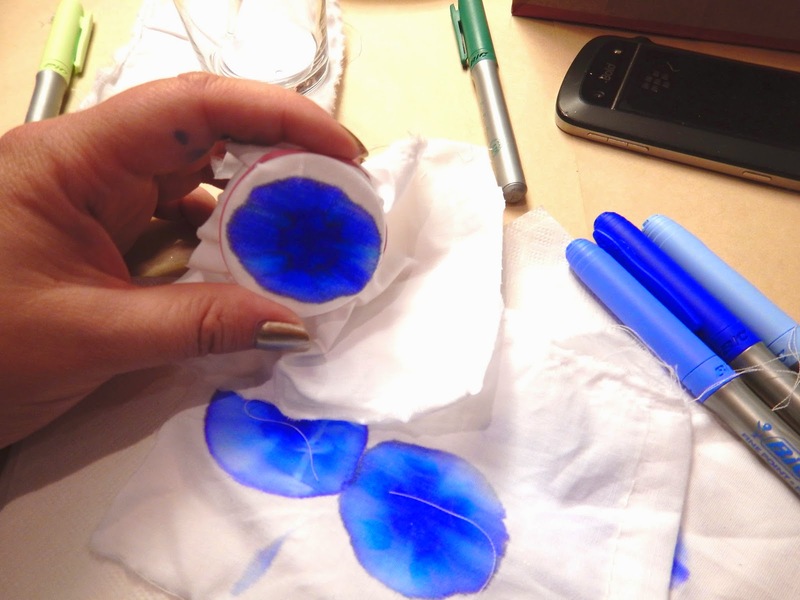 The amount of alcohol dripped, determines how much the dye spreads. 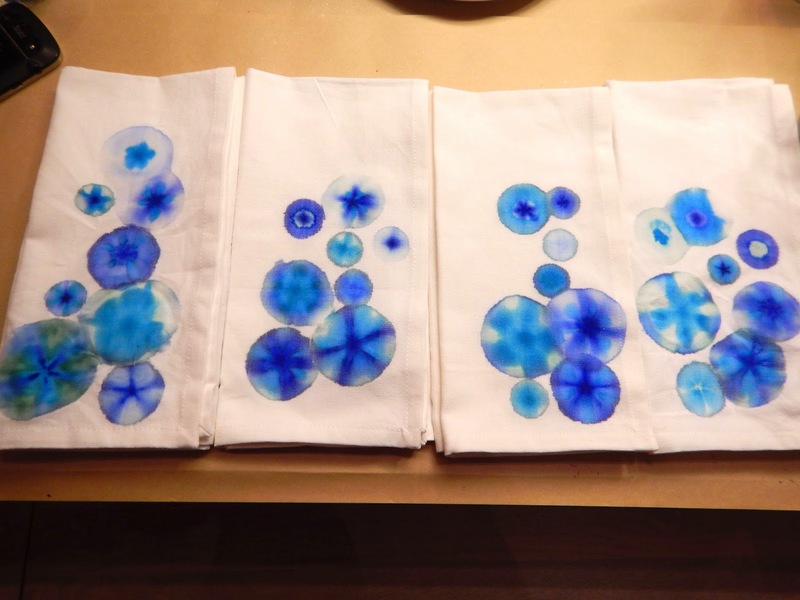 Here are my finished napkins, which will be set after a vinegar wash at home. I love that they're all so different! 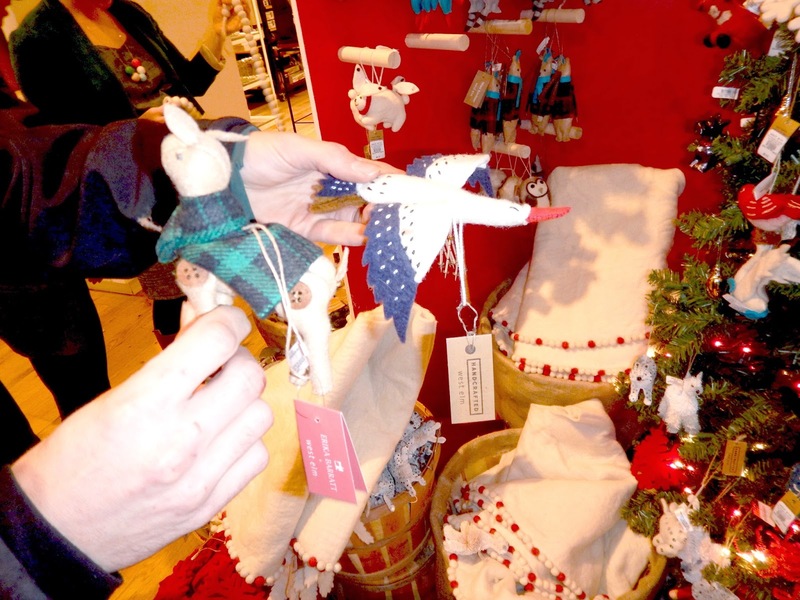 I think they'd look great as a compliment to a winter place setting! 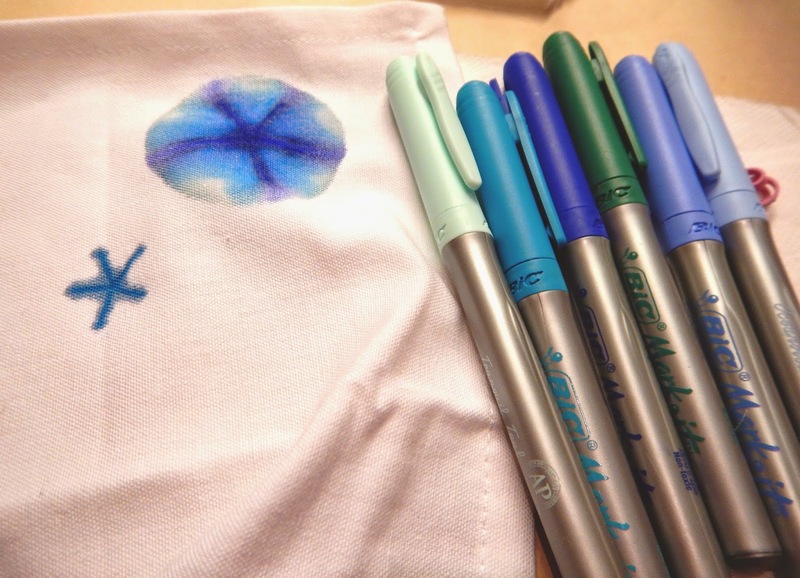 This was an easy craft requiring just fabric, markers and rubbing alcohol. I love the finished effect and it totally makes me want to dye a blanket for little Bruiser. What do you think? Would you make these at home?